Danger! High Voltage Slot Machine - ▶️ Play & Win up to 4000 coins! Danger High Voltage is a creation by Big Time Gaming who are well-known for their Megaways™ slots. 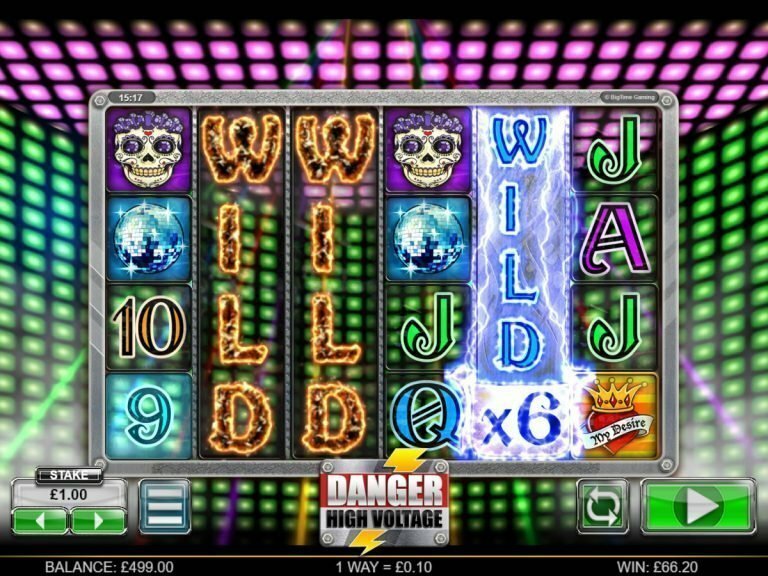 Danger High Voltage is a vibrant, bright slot game with 6 reels and it is possible to win in 4096 different ways. You can probably understand why the name “Megaways” fits very well. Big Time Gaming are excellent at making top quality and entertaining slots and Danger High Voltage appears to be a great addition to their portfolio but let’s take a closer look. Danger High Voltage has a disco theme that you can both see and hear from the moment the game starts. The music fits really well and you can hear the crowd cheering in the background, which is awesome. The one thing we noticed when opening the game in a desktop browser is the actual gameplay area is rather small. BTG seem to have given more real estate to the backdrop than the reels. 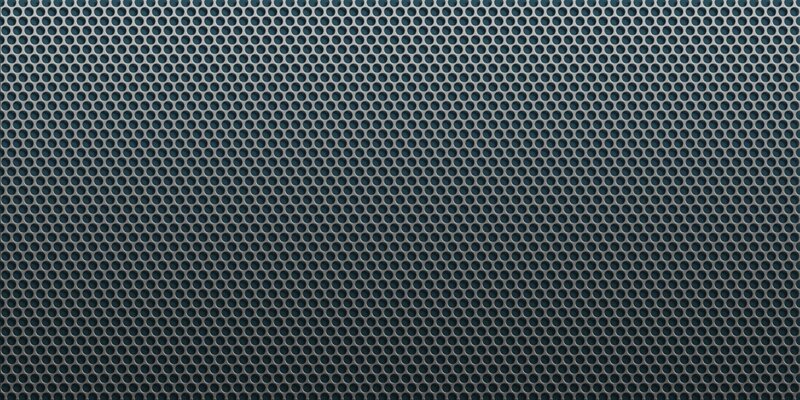 It’s not critical, but something that specifically stood out as usual, the reels are the dominant area. Getting started is as simple as setting your stake amount and hitting the play button. There are some sound effects as the reels spin and come to a stop, which is standard, but there are no special effects. When it comes to Danger High Voltage, you will be happy to know that it has two different free spins bonuses to choose from, but more about that in a moment. Danger High Voltage has 10 main symbols plus a scatter. At the lower end of the pay scale is the common, A, K, Q, J, 10 and 9. At the top end are a skull, bell, disco ball and a taco. The top paying symbol is the skull, which pays 25 times your stake for 6 skulls. All icons pay from left to right. The scatter, which is a heart with a crown on it, pays for 3 or more anywhere on the reels, and if you are fortunate enough to get 6 of them then get ready for a whopping payout of 100X your stake amount. Plus, 3 or more scatters trigger the free spins feature. Within the main game, are two full reel wild features to help boost your winnings. The first is the WILD FIRE, which takes up a full reel and acts as a wild for all symbols, excluding scatters. The second more exciting version is the WILD ELECTRICTY; this feature also fills an entire reel and acts a wild, but it also applies a X6 multiplier to any wins. Both full reel wilds occur only on reels 2 to 5. There is no separate bonus game or bonus features, like picking a wheel, to be played in Danger High Voltage. Instead, as you already know now, it’s possible to get free spins with some unique features. Even though bonus games are cool, the free spins and their features make up for it. When 3 or more scatter symbols appear on the reels, you will get the chance to choose between one of the two free spins features in Danger High Voltage. Gates of Hell Free Spins: Here you will be awarded with 7 free spins, plus one of the symbols in the game will become a Sticky Wild for the duration of the free spins. If you are really lucky, you will get even more free spins during the free spins round. For this to happen, four sticky wilds need to appear on one reel and it will award you 3 more free spins. High Voltage Free Spins: Here you will be awarded with 15 free spins. There is a High Voltage Wild that can appear on reels 2 to 5 and it multiplies adjacent winnings somewhere between x11 to x66. The winnings will be multiplied with the highlighted multiplier. Another 15 free spins can be won if 3 scatters appear during the free spins. Danger High Voltage doesn’t have a jackpot, nor is it linked to any progressive jackpot. Even if you chase the top paying symbols, you still won’t be quitting your job anytime soon. Your big wins in this game will come from the free spins and multipliers. Betting lines or paylines are so last season. In recent times, most slots have fixed combinations or numbers of ways to win, which is exactly what Danger High Voltage has with its Megaways’ 4096 ways to win. Danger High Voltage has an RTP of 95.67%. This is in the general range of most slots of ~96%. Even though the game doesn’t have a higher RTP, it’s still a popular choice amongst players. This slot has a high volatility, so you will probably need to pace yourself to preserve your bankroll till the big wins come. Danger High Voltage is a good slot with some interesting features. Game play is smooth, the animations are fair and overall, it is entertaining. Would we say this is the best BTG slot ever? No, but it is definitely worth taking it for a spin.